I am an experienced social scientist and project manager with over 15 years of experience in marine conservation, marine management and policy. I have a strong record of accomplishment in social and economic research methods to inform ecosystem-based management and the implementation of Natural Capital approaches. My motivation is to define social-ecological systems. This serves to strengthen the connections between science, society and policy and supports efforts to manage marine resources and systems. To extend the impact of my research I work closely with stakeholders, including statutory nature conservation agencies, NGOs and government departments. I have successfully led and delivered projects for a range of funders including the Global Ocean Biodiversity Initiative (as secretariat to the Convention on Biological Diversity; the EU (PANACHE, ResponSEAble); Defra (Lyme bay, Darwin Plus Overseas Territories Environment and Climate Fund); Natural Resources Wales; Blue Marine Foundation; WWF and; the Marine Conservation Society. I am currently a senior scientist on research projects for NERC, EU LIFE+, Defra, Natural England, Scottish Government, WWF and the Blue Marine Foundation. To deliver this work I manage a team that includes Research Fellows, Research Assistants, PhDs and MSc students. 1995-1999: Bachelor of Science in Marine Geography.Awarded second-class honours, division one. University of Wales, Cardiff. February 2012–June 2012: Postdoctoral Research Assistant forthe Marine Biological Association of the United Kingdom. 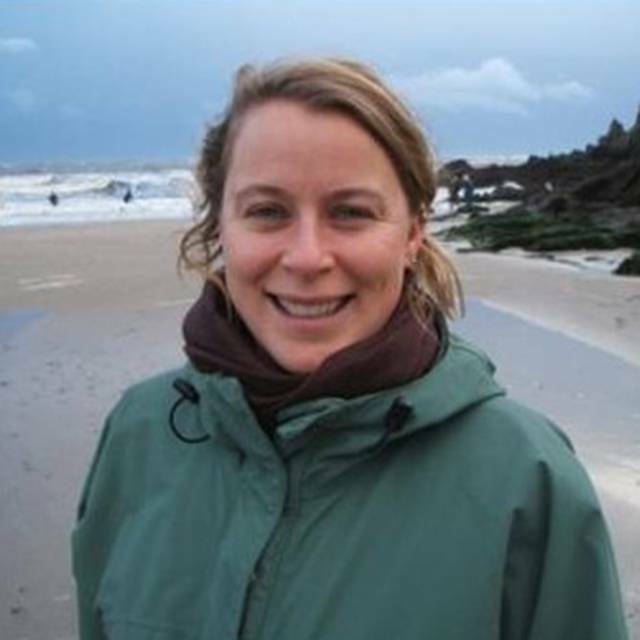 2004–2007: Conservation Officer (Marine Policy) and CycleauProject Officer, Devon Wildlife Trust. 1999–2004: English as a Foreign Language Teacher. Contractsin the UK, South Korea and Spain. 1993-1999: Youth Worker and Outdoor Education Instructor.South Cerney Outdoor Education Centre. Gloucestershire County Council. Marine conservation, economics, social science, Marine Protected Areas,MPAs, Sustainable Development Goals, Ecosystem Services. 2018 - Samantha Blampied - Evaluating the effectiveness, socio-economic value and trophic dynamics of MPAs inJersey's territorial waters. 2015 – 2018: Danielle Bridger “Effects of Open Ocean Mussel Farming onEcosystem Services”. Tom Mullier – Research Assistant. 2018- Assessingand enhancing ecosystem services provided by diadromous ﬁsh in a climate changecontext (DiadES). INTERREG AtlanticArc (2.2millionEuros, 183,418 Euros to PU) 2018-2021 (Co-I). 2018 – Marine Natural Capital Evidence and Options paper forAscension Island Government. PI for Plymouth University (£15,165 total to MBA,£5000 to UoP for expert advisory input). 2018–Ongoing. Feasibility study for a Marine Natural Capital Asset Index for Scotland. Scottish Natural Heritage. PI for Plymouth University (£33,552 total to MBA, 2700 to UoP). 2017–2021:South West Partnership for Environment and Economic Prosperity. NERC £4.9 million (Associate Co-I). 2015- 2016 An evaluation framework to determine the impact of the Lyme Bay Marine Protected Area and the activities of the Lyme Bay Consultative Committee on ecosystem services and human well being. The Marine Institute and the Centre for Marine and Coastal Policy Research Plymouth University, CEFAS, Exeter University. Research for the Blue Marine Foundation. £44,000 (PI). 2015-2019:The EU Framework Programme for Research and Innovation Horizon 2020, 2015-2019. ResponSEAble . 3.9m Euros. 2015-2017:Strategies for the sustainable development and management of St Helena’s fisheries and marine tourism. Darwin Plus Overseas Territories Environment and Climate Fund. £74,000. 2015 Assessment of the ecological coherence of the MPA network in the Celtic Seas.Research for WWF-UK £28,000 (PI). 2014 Assessing the socio-economic benefits of Marine Protected Areas. A report for Natural Resources Wales. £13,824 (Co-I). 2012-2015 PANACHE Protected Area Network across the Channel Ecosystem. EU INTERREG project Priority 4, Objective 2. Euros 4.8 million (Euros 334,862 to PU)(Co-I). 2012–The legal and ecological definition of ‘site integrity in the EU Habitats Directive and its application to UK Marine Planning. A position statement for the Marine Conservation Society. £8000 (PI). 2012 Marine Conservation Zones Benefits Package. Research and report for the Wildlife Trusts. £11,286 (Co-I). 2011-2012:Social perspectives on the establishment of marine conservation zones. MMO Fisheries Challenge Fund. £25,000 (PI). 2011-2012:Valuation of Ocean Biodiversity. Gulbenkian Foundation. £55,000 (Co-I). 2008-2012:Lyme Bay socio-economic impacts of the closed areas. A collaborative grant with Plymouth Marine Laboratory. £250,000 (Co-I). Johnson, D.E., Rees, S.E., Diz, D.,Jones, P.J.S., Roberts, C., Barrio Froján, C. 2018. Securing effectiveand equitable coverage of Marine Protected Areas: an overview of global effortsby the Convention on Biological Diversity and analysis of national efforts onbehalf of the United Kingdom" Accepted Aquatic Conservation: Marine andFreshwater Ecosystems. Rodwell, L.D., Fletcher, S., Glegg, G.A., Campbell, M., Rees, S.E., Ashley, M., Linley, E.A., Frost, M., Earl, B., Wynn, R.B., Mee, L., Almada-Villela, P., Lear, D., Stanger, P., Colenutt, A., Davenport, F., Barker Bradshaw, N.J., Covey, R. 2014. Marine and coastal policy in the UK: Challenges and opportunities in a new era. Marine Policy, 45, 251-258. Rees, S.E., Ashley, M., Cameron, A.2018. North Devon Marine Pioneer Report 2: A Natural CapitalAsset and Risk Register A SWEEP/WWF-UK report by researchstaff the Marine Institute at Plymouth University. La Bianca, Giulia., Hodgson, Ben., Erni-Cassola, Gabriel., Tillin,Heidi., Howell, Kerry., Rees Sian.2018. A report for Ascension Islands-NaturalCapital Assessment. South Atlantic Environmental Research Institute (SAERI).81pp. Rees, S.E., Ashley, M., Cameron, A. 2018. NorthDevon Marine Pioneer, links between the ecosystem and ecosystem services in theNorth Devon Marine Pioneer. A report to WWF-UK by research staff the MarineInstitute at University of Plymouth. Hooper, T., Langmead, O., Marcone, O., Rees, S., Rendon, O., Börger,T., Beaumont, N., Attrill, M. and Austen, M. 2018. Application of the natural capital approach to the marine environmentto aid decision-making. Report prepared for the Department for EnvironmentFood and Rural Affairs (project code ME5115). Rees, S., Hall-Spencer, J., Savva, I., Antoniou, C., Kleitou, P., Christodoulides, Y., Chartosia, N., Hadjioannou, L.,Jimenez, C., Petrou, A., Demetriou, A., Sfendourakis, S., Kletou, D. 2017. Stakeholder Consultation andBaseline Assessment of Social Awareness on Marine Invasive Species in theMediterranean. Preparatory Action A.1.A Report for EU LIFE Nature and Biodiversity. Preventing a LIONfish invasion in theMEDiterranean through early response and targeted REmoval (RELIONMED-LIFE) -LIFE16 NAT/CY/000832. Rees S., Clingham E, Rodwell L., Glegg G., and Collins M. 2016. Marine Ecosystem Services of St Helena. Part 2: Ecosystem Service Valuations, Future Development Thresholds and Management. A report for the Environment and Natural Resources Directorate, St Helena Government by Marine Institute Plymouth University. pp 70. Rees S, Foster N, Langmead O, Griffiths C. Assessment of the Ecological Coherence of the MPA Network in the Celtic Seas: A report for WWF-UK by the Marine Institute,Plymouth University and The Marine Biological Association of the United Kingdom. 2015. p. 120. Rodríguez-Rodríguez,D., Rees, S., Rodwell, L., Haenrick, M., Dobroniak, C., Bartlett,G.,Mannaerts, G., and Attrill, M. (2014) Methods for monitoring the socioeconomic effects of Marine Protected Areas. A report for the European Union INTERREG IVA France (Channel) – England European cross-border co-operation programme. Protected Area Network Across the Channel Ecosystem Project. pp 75. Fletcher, S., Rees, S., Gall, S. Shellock, R., Dodds, W. and Rodwell, L.(2014). Assessing the socio-economic benefits of marine protected areas.A report for Natural Resources Wales by the Centre for Marine and Coastal Policy Research, Plymouth University. Rodriguez-Rodriguez, D., Rees, S.,Mannaerts, G., Sheehan, E. 2013. Marine protected area in the Channel: A review. Report prepared by the Marine Institute and the Agence des Marines Protegees for the Protected Area Network Across the Channel Ecosystem (PANACHE)project. INTERREG programme France (Channel) – England (2007 – 2013) funded project, 48 pp. Brown, C., Hull, S., Frost, N.,Miller, F., Pearce, B., Rees, S., Hughes, E., Tyler-Walters, H., 2013. In-depth review of evidence supporting the recommended Marine Conservation Zones.Project Code: MB0116 Marine Biodiversity R&D Programme, p. 69. Department for Environment Food and Rural Affairs (Defra), London. Rees, S. E. & Rodwell, L. D.(2012) The social impacts of marine conservation zones on the North Devon inshore fishing fleets - A report for the Marine Management Organisation. pp.39. The Centre for Marine and Coastal Policy Research, Plymouth University,Plymouth. Attrill, M.J., Bayley, D.T.I., Gall, S.C., Hattam, C., Jackson, E.L., Langmead,O., Mangi, S., Marshall, C., Munro, C., Rees, S., Rodwell, L., Sheehan, E.V.,Stevens, T.F., Strong. S., 2011. Lyme Bay – a case-study: measuring recovery of benthic species; assessing potential “spillover” effects and socio-economic changes, Final Report, February 2011. Report to the Department of Environment,Food and Rural Affairs from the University of Plymouth-led consortium.Plymouth: University of Plymouth Enterprise Ltd.
Attrill, M.J., Bayley, D.T.I.,Gall, S.C., Hattam, C., Jackson, E.L., Langmead, O., Mangi, S., Marshall, C.,Munro, C., Rees, S., Rodwell, L., Sheehan, E.V., Stevens, T.F., Strong. S.,2010. Lyme Bay – a case-study: measuring recovery of benthic species; assessing potential “spillover” effects and socio-economic changes, Annual Report,December 2010. Report to the Department of Environment, Food and Rural Affairs from the University of Plymouth-led consortium. Plymouth: University of Plymouth Enterprise Ltd. 53 pages. Marine Institute 2018. Environmental Audit CommitteeSustainable Seas Enquiry. Plater AJ, Rice JC, Glegg G,Hansson S, Koutrakis M, Mangi S, Marasovic I, Marshall CE, Norman T, Oguz T,Peckett F, Rees S, Rickards L, Rodwell LD, Tudor D, Vrgoc N. Review of existing international approaches to fisheries management: The role of science in underpinning the ecosystem approach and marine spatial planning, in: Kidd, S.et al. (Ed.) The ecosystem approach to marine planning and management 2011; 131-204. 2017House of Lords Select Committee. Advisory Committee on the Protection of theSea. London, UK. Aichi Target 11 and SGD 14. Invited SpeakerOpportunities for the UK. 2017 4thInternational Marine Protected Areas Conference (IMPAC 4). Chile. Selected as amember of the UK Government delegation to Chile. Two presentations on ecosystemservices and Natural Capital. 2017 South West Marine Natural CapitalConference, Exeter, UK. Natural Capital and Ecosystem Service Valuation. 2017 Marine Protected Areas: Science, Policyand Management. UK. Poole Harbour Study Group with The Estuarine and CoastalSciences Association (ECSA). An evaluation framework to determine the impact of the Lyme BayMarine Protected Area and the activities of the Lyme Bay Consultative Committeeon ecosystem services and human wellbeing. 2016 Lyme Bay Fisheries and Conservation Reserve Committee meeting, Lyme Regis, UK. Invited Speaker. The Lyme Bay Reserve. Is it working? 2016 Commonwealth Resilience Forum, London. Invited Speaker. Marine Resources:protection or development - need they be mutually exclusive? MPAs and the Tourism and Leisure sector. 2016 Devon Local Nature Partnership, Exeter, UK. Valuing Nature – What does Nature do for Devon? Thevalue of marine ecosystem services. 2016 CBD expert meeting. Berlin, Germany. Invited Speaker. Meeting to share experiences and lessons learned on achieving Aichi Target 11 in marine and coastal areas. 2015 ESRC symposium. Bristol University. Invited Speaker. MPAs and human well-being: How can we align conservation with social and economic needs? 2015 South West Marine Ecosystems, Plymouth Marine Laboratory,Plymouth. What is site integrity?Applying current ecological knowledge to evolving marine policy. 2014 Marine Spatial Planning Conference Series for the European Commission, Venice, Italy. Invited speaker. Marine Spatial Planning and the integration of economic and environmental interests. 2014 3rd Cross Channel Forum: Future Challenges for Effective Governance of the Channel. Le Havre, France. Invited panel member,Marine Spatial Planning and conservation. 2014 2nd Marine and Coastal Policy Forum, Plymouth, UK.Securing the benefits: Linking ecology with marine planning policy to examine the potential of a network of Marine Protected Areas to support human wellbeing. 2011 2nd International Marine Conservation Congress, Victoria, British Columbia, Canada. From conflict to consensus. The social value of Marine Protected Areas. 2010. Marine Institute Conference. Plymouth, UK. The Socio-Economic Impacts of the Lyme Bay Closed Area. 2009 International Marine Conservation Congress. George Mason University, Virginia, USA. Incorporating the ecosystem approach and the value of marine biodiversity into marine spatial planning. 2009 Plymouth Marine Science Partnership Conference. Marine Institute,Plymouth UK. The value of marine biodiversity to the recreation industry,Lyme Bay, UK. 2008 Plymouth Marine Science Partnership Conference. Marine Institute,Plymouth UK. A total valuation of the goods and services provided by marine biodiversity for use in marine spatial planning.